You can depend on Affordable Comfort to supply all your cooling needs. 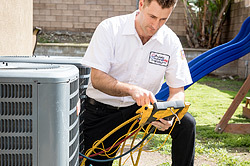 Our HVAC team offers the best air conditioning service, maintenance, and installation for your home or office at the best value. We offer complete heating services, repairs and installation specifically tailored for your residential or commercial property. 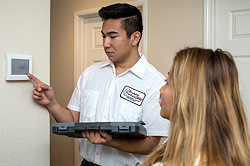 Preventative maintenance and tune-ups are some of the best ways to lengthen the life of your HVAC systems and keep them running at peak-performance and maximum efficiency. In addition to heating and cooling, we also specialize in indoor air quality solutions that make your home environment healthier and more comfortable. Your home should be a safe place for you and your loved ones — free from harmful air contaminants. 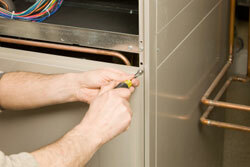 Heating and cooling your home or office doesn’t have to be a budget breaker. Affordable Comfort offers effective, dependable, energy-saving tips that will help you conserve energy without sacrificing comfort. 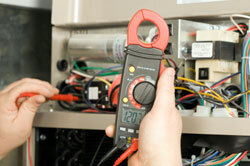 Expert HVAC repair service when you need it. 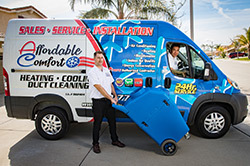 Affordable Comfort is your fast, friendly, & reliable air conditioning and heating repair source.